Run For Houston Donation Run: Sherri and her team at Why Racing is hosting a 5k/10k/half marathon event on Saturday, September 17 (the date on which Vancouver USA was supposed to be run) with all donations going to the American Red Cross in support of their efforts in Houston. This is a non-supported run – bring your own hydration and nutrition – and you’ll need to obey all traffic signals as roads are not closed. Why Racing will provide course maps. The run will start at the Amphitheater in Vancouver, behind Warehouse 23, located at 100 Columbia Street at 9a (arrive by 8:30a). PRC Hosts “Run Like Water” with gear from Nathan: Nathan makes a variety of running gear, while they’re probably best-known for their hydration products, they also have other cool stuff like a running belt that I use on nearly every run. You can check out their products at Portland Running Company’s Saturday Morning Run from their 800 SE Grand Ave store in Portland. The run starts at 8a and will have mapped routes up to 12 miles. This is a free group run. Tualatin Discovery Run: The September and October dates have been set for the free Tualatin Discovery Run, a scavenger-hunt style run for walkers and runners where you can earn raffle tickets and maybe win great prizes. I attend with my 5-year-old daughter and she absolutely loves it, and I love that the people at the run make her feel welcome. I also love the free beer at the finish. The September date is Thursday, Sept. 28 and the date for October is Thursday, October 26. If you pre-register (still free!) you get bonus raffle tickets. The Beaverton Celebration Run 5k is on Saturday, September 9 in downtown Beaverton. You can sign up for this flat and fast 5k online for $20 including a shirt or $15 day of race (no shirt). This is a good 5k race to test your fitness, and afterwards you can chill with the family and enjoy the parade. There’s a low-cost 5k-ish run/walk as part of Tigard’s Family Fest on Saturday, September 9. The Family Fest Fun Run starts at 10:30a from the city’s Parks Department at 13125 SW Hall Boulevard, and you can sign up for only $5. As of today (Tuesday, September 5), there are only 16 spots left. Online registration closes Friday. 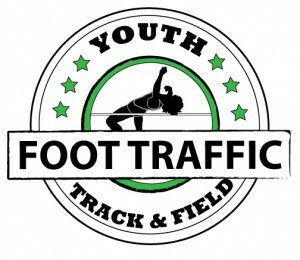 Forest Grove is hosting a 5k, 10k, and Tot Trot for a great cause this Saturday, September 9. 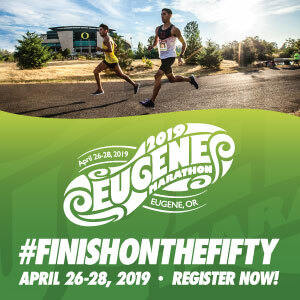 The Run & Walk for Sight, organized by the Forest Grove Lions Club and Pacific University’s College of Optometry, is $35 for the 5k or 10k and $5 for the Tot Trot. All proceeds from the race go towards scholarships and help Pacific University’s vision clinic and community efforts. Get more info and sign up here. Another race for a great cause that will hopefully be unencumbered by the fires and smoke is the Race to the Bar in Warrenton on Saturday, September 9. This 5k/10k at Fort Stevens State Park is $45 with all proceeds supporting the Lower Columbia Hospice. 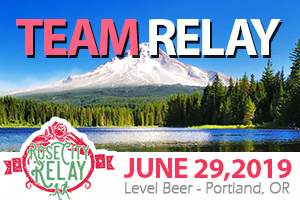 Registration includes a race shirt (even for late entries), food at the finish, 2 beers at the finish for those 21+, and covers your parking at the park. Best of all, the race starts at 5:30p, so Portland-area runners can drive down on race day and enjoy the sunset at the beach. Another race at the Oregon Coast this weekend is X-Dog’s “Ole’s Assault” Adventure Run, which boasts of a post-race salmon feed. This race is on Sunday, September 10 near Astoria. There’s camping available at the start/finish area, so why not run both the Race to the Bar and Ole’s Assault and make it a beach weekend? Registration is $40 for this extremely muddy, challenging and memorable event. If you were planning to run the Vancouver USA Half, may I suggest the Boring Half Marathon or 8k on Sunday, September 17? The marathon, unfortunately, is already sold out, but the half is $75 and the 8k is $50. The organizers of this event (in Boring, Oregon) do a really good job. Online registration is open until race day, so check it out here. There are 2 of the Portland Parks & Recreation 5k runs left this year: Sunday, September 17 at Westmoreland Park and Sunday, October 15 at Pier Park. 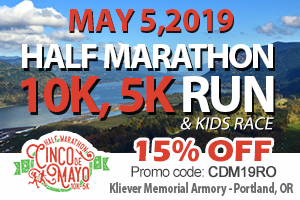 These 5k races are only $5 per participant and have a 1k kids run, a competitive 5k start (for those running faster than 25 minutes), and an open start, offering something for everyone. Plus they have face painting so my kids are all about it. Learn more and review registration options online here. Speaking of runs in Portland-area parks, don’t forget about the Stumptown Cross series, hosted by Team Red Lizard. Read a full preview of the series here and sign up online here for one race for $15 or for all five for just $50. It’s an amazing deal and a good reason to try running in spikes. That’s all for this installment. Remember, if you know a really cool small race, an important registration deadline, or other fun running news, please send it our way so we can share it with our readers!